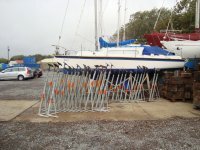 To support the boat you just position underneath using the holding bar and the two handled spanner supplied. 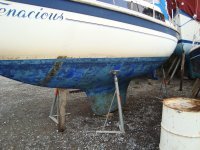 ... to this height whilst under the boat. 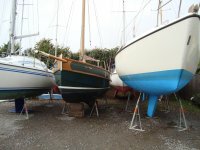 Here's a family photo to show how all sizes stack within one another. 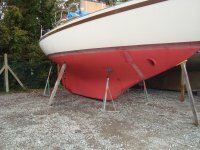 This shows how versatile the unique swivel head action is and how it can support any shaped boat. 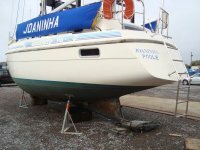 The spanner and holding bar. 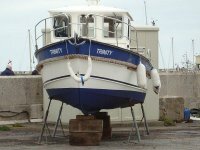 Note the durable rubber grip on the head. 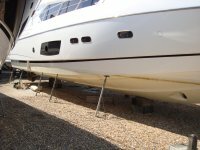 This shows the head unit and the two lower nuts welded into position. 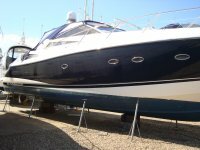 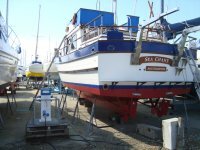 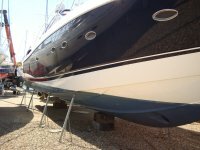 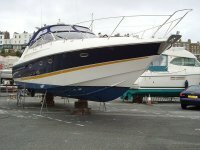 Boat Stands for all types of motor boats and yachts. 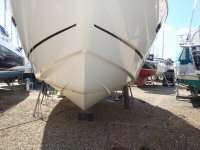 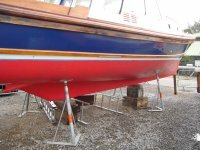 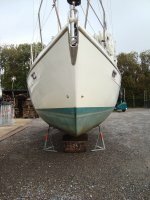 The Interchangable V-head can be used to support the bow of a fin keel or bilge keel yacht. 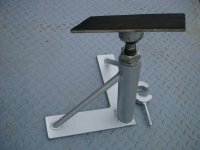 This detachable spanner and bar reduces the risk of tampering or theft. 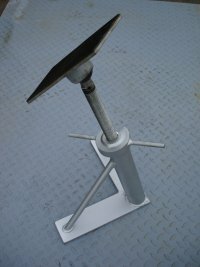 This is our new Mini Stand which has a head height from 40cm (16") up to 60cm (24") and is made from the same materiels as the bigger stands and has the same spanner and swivel head..It is galvanised with zinc plated thread and is ideal for shallow draught motorboats and indoor displays. 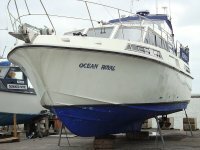 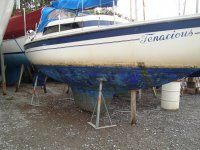 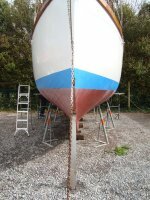 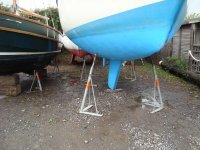 This shows the boat stands when they are not in use where they take up very little space and can be secured by locking together with chain. 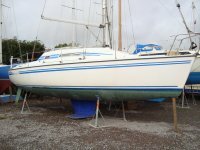 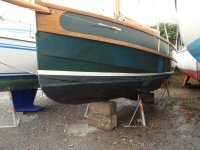 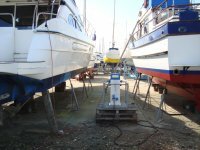 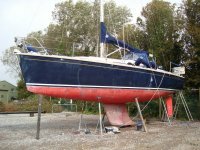 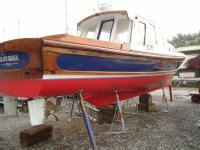 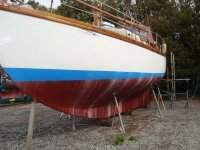 An excellent example of our boat stands in use and it only takes 10 minutes to support a boat of this size saving the boat yards crew an enormous amount of time in the course of a year.